Kenneally Rochford & Associates Ltd. About. Kenneally Rochford & Associates Ltd. was founded by Anthony Kenneally & James Rochford in 2001. We are an experienced, independent firm of chartered engineers, building designers, planners and technical specialists offering a broad range of professional services. 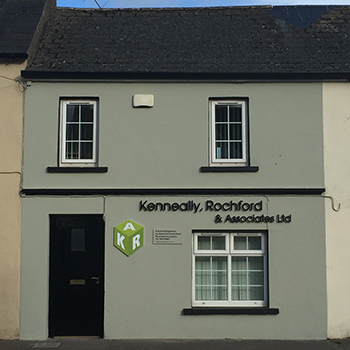 Kenneally Rochford & Associates Ltd. are based in the village of Killeagh in East Cork. From here we have built up a substantial client base in local, East Cork and West Waterford, towns and villages. We offer a professional consultancy service in the Counties of Cork & Waterford, tailored to suit our client’s needs & requirements. The greatest asset we offer to our clients is that we do the job of the architect, chartered engineer and surveyor, backed up by extensive local knowledge. All projects are in-house with the use of associated environmental consultants, quantity surveyors etc. when needed.